I find all kinds of lichens when I pick up sticks in the yard. 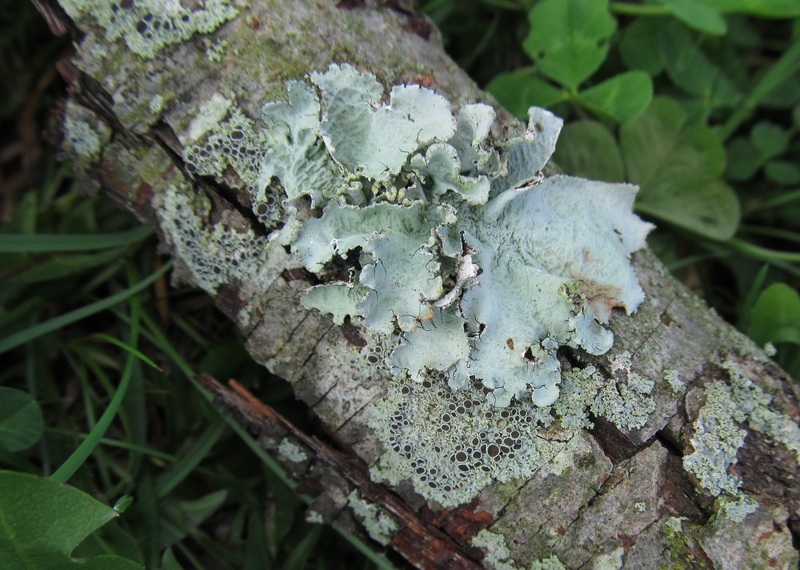 The larger lichen with the leafy appearance is a foliose lichen. 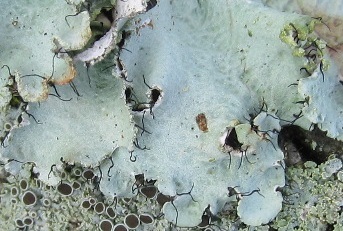 Blister lichen, with the dark disc-shaped fruiting bodies, is also a foliose lichen. The leafy part shows better in the upper right of the picture. 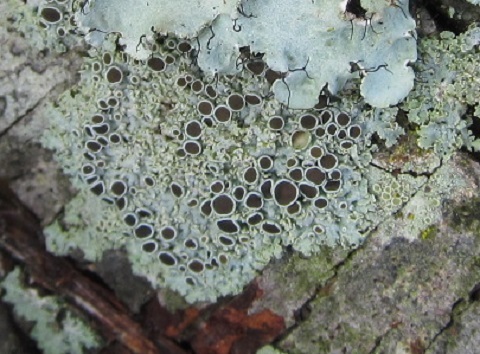 The black “hairs” along the edges of the lichen are called “cilia.” I seldom see them on lichens. Thanks, “Teach”. Informative and interesting, as usual. Aren’t you glad there’s no tests?